The makers of the worlds first Android phone are going to join together again to get the world first 8 inch Nexus tablets, Google and HTC had partnered before to bring out the HTC dream the first Android phone and the Nexus one was also a made by these two companies. They had a huge success with both the devices. It is said that Google is said to move away from Asus in making the new Nexus tablet series and had asked HTC to partner with it. The word is that Google approached HTC first for Nexus 7, but HTC was having its won problems in its phone line up and so it had turned down the offer. Since HTC has grown so much in the phone market, it is supposed that HTC has the offer made by Google. 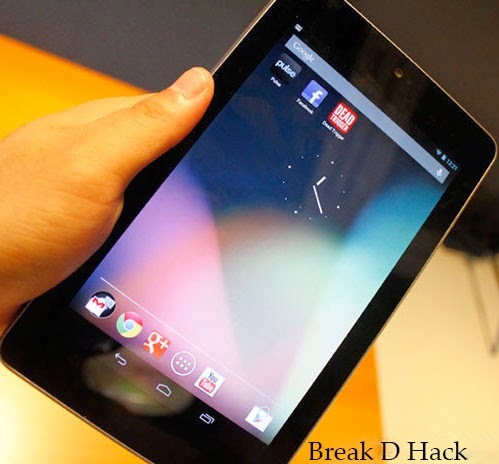 It is told that Google came up with the Nexus tablets to make Android penetrate into the tablet market, now that iPad market has considerably gone down and there is an increase in the Android tablets the task has been completed. Since there is not much influence by Nexus tablets in the market, many say this might be the last tablet Google makes. The buzz is that the new Nexus 8 will have a newer design all together and this may be the reason that they have selected HTC, since HTC has stunned us all from their amazing smartphone designs all these years. The device will be built with a quad core processor by Intel and the latest version of Android. As Google I/O nearing we suppose that the new Nexus 8 will be unveiled in the event.